The Pellon Shape Flex SF101 woven fusible interfacing helps you complete your sewing and craft projects with ease. Our 100% cotton woven fusible interfacing is similar to Pellon SF101 which is an all purpose. It provides crisp support for collars, cuffs, yokes, pockets, facings and other detail areas of a garment. It’s ideal for ensuring collars and cuffs stand at attention, and it gives these components flexibility needed without sacrificing stiffness. The white fabric coordinates perfectly with almost any sewing projects, and it’s machine washable too. 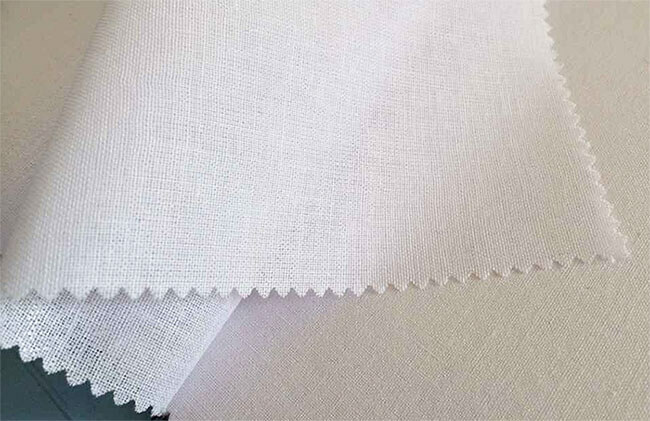 100% cotton fusible interfacing is intended for light to medium woven and knit fabrics, including oxford cloth, madras, chambray, gingham, tattersall, pincord, flannel and polyester with cotton blends. 10. Clean cloth, uniform density of yarn count, standard gram weight, holds shape nicely. SF101 substitute comes in a bolt so it can be stored face down in a cabinet or upright for quick and easy access. With a full 100 yards of machine washable fabric, there is enough for plenty of projects or articles of clothing.